Here's the cover for the brand-new reissue of the paperback edition (from Untreed Reads) of my novel about Chicago streetkids and the monster who preys on them. 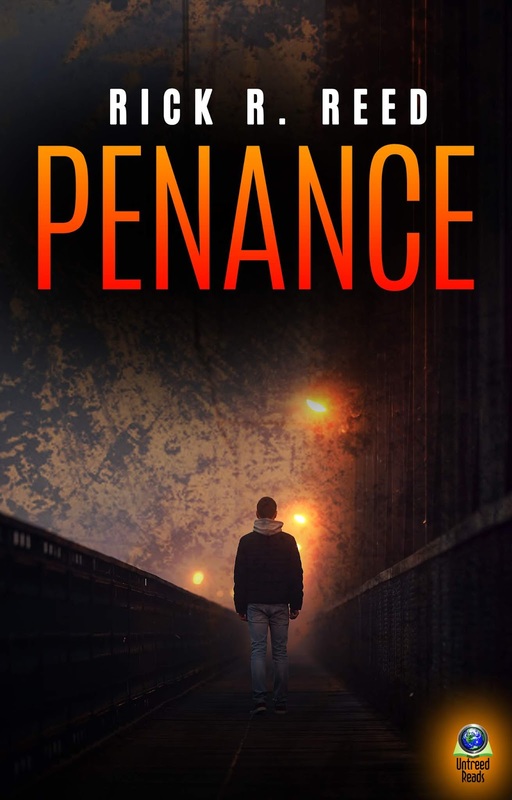 This will be the first time PENANCE has been back in print in decades. 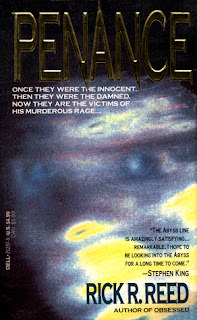 For comparison, I'm also showing the original Dell paperback cover from 1991. Bound by misery. Marked by sin. Set free by death. A monster without fangs or claws, but more deadly. Because of them, he has lost everything: his wife, his family. And he vows to clean the streets of Chicago...for good. PENANCE was part of Dell Abyss' remarkable horror line, lauded by none other than Stephen King. The new print edition will be available soon. In the meantime, you can buy the ebook here. 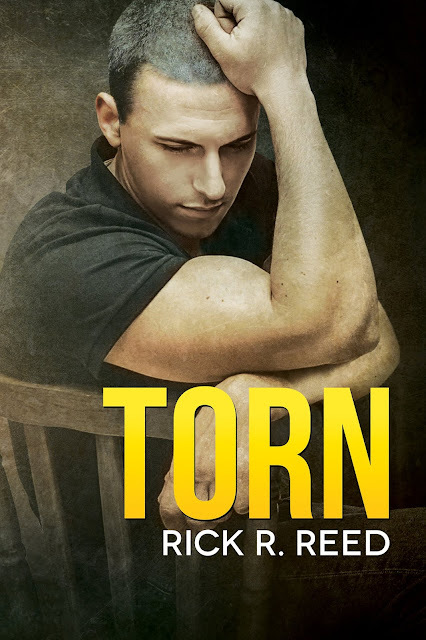 TORN is Now Available for Pre-Order! Debuts May 19! My next book is based on my first-ever trip to England with my best friend, hence the main character name, Ricky Comparetto (my given name plus my mother's maiden name). The "torn between two lovers" aspect really happened, as did many of the other events in the book, but I'll keep quiet on what was real and what was fictionalized. TORN is, after all, a novel, not a memoir. I’m going to tell you how this story ends, but not with whom. That’s a fair promise to make, isn’t it? So…. Yes, you’ll get your happy-ever-after ending—if there truly is such a thing—you just won’t be privy to all the details. Unless you read on…. Almost twenty-five years ago, I was thirty-five years old and privileged to cross the pond to merry old England for the very first time. I was finally able to say I’d traveled internationally by the grace of my best friend, a writer of boys’ adventure stories with the improbable name of Lord Boutros BinBin (no, he was not an actual Lord; he told me once he simply had parents who were “quirky” and “creative,” also known as “free spirits”). He wrote under the much plainer moniker Beryl Kensit. At that time, and during that trip, I was also blessed to fall head over heels in love with a gorgeous, kind, and sensitive man I met at twilight on the streets of the beachside city of Brighton . 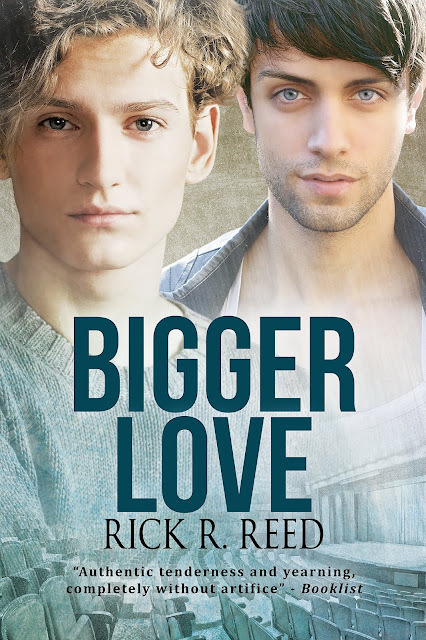 He ticked every box on my imagined list for the perfect lover—exotically handsome, spiritual, artistic, amazing in bed, and… I could actually hold a conversation with him. Our silences were okay too, comfortable. We launched into a passionate affair and promised that we’d meet again. But the course of true love, as they say, never did run smooth. Ain’t it the truth? I returned home from those two weeks with a satchel full of memories, a sexually transmitted infection, and the knowledge that I’d found true love. But then, only a week or two after settling back into my little apartment in the Rogers Park neighborhood of Chicago , I found myself falling head over heels in love again—this time with a salt-of-the-earth, charming, and sweet man from the South Side. He was nothing like I ever imagined I would be compatible with—our tastes, educational background, intelligence, and cultural awareness made us like creatures from two different planets—yet somehow the magic, the spark, was there. How would I reconcile the two? Whom would I choose? Could things ever end satisfactorily when, as in Mary MacGregor’s song, you’re “Torn Between Two Lovers”? Read on, my friend, read on… and discover how the head won out over the heart. BLUE UMBRELLA SKY Debuts Today! 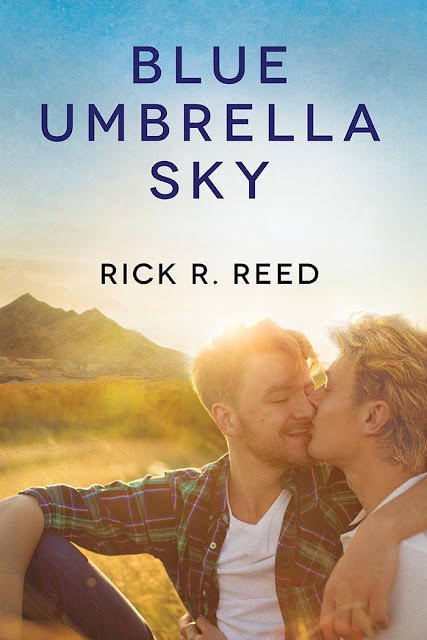 Blue Umbrella Sky releases today! This is always a humbling, and kind-of "pinch-me" day for a guy who once despaired he'd never get anything published. And now, with Blue Umbrella Sky, I celebrate my 40th published book. Have You Read THE PERILS OF INTIMACY Yet? My first novel, OBSESSED, now back in paperback after being out of print for decades! 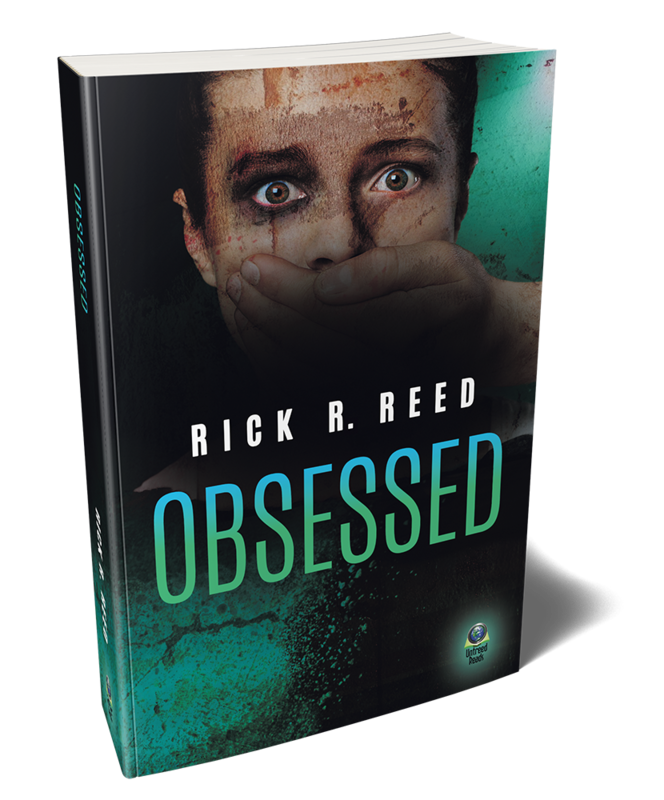 Thrilled (and chilled) to announce that my very first book, OBSESSED, has just been reissued in a brand new paperback edition from Untreed Reads! It's the first time the book has been available in paperback in decades (since Dell published it as part of its remarkable line of horror, Abyss). Voices slam through the corridor of his wounded mind. The words of his dead sister cry out. His parents' taunts fill the silent room where he sits and waits--waits for the murderous rage, filling him with strength, driving him to kill, to touch the cold flesh, taste the warm blood--to feel alive again… A witness has seen him, but his killing only turns her on and now she wants to protect him. His wife suspects him, but the private detective she hired cannot stop him. Joe MacAree fears nothing--except that he may no longer be human. The thirst that drives him is relentless, moving deeper and deeper into his own shattering, private realm, where each murder is a delicious new gift of life, where revulsion is beauty, and the obsession will never let him go. Obsessed was part of Dell Abyss' remarkable horror line, lauded by none other than Stephen King. After each killing the reaction was the same. There was a moment of sharp pain right behind his left eye, an instant where the pain was so intense as to block out the act he had just committed, the blood and the ripped flesh…then a moment where brilliant flecks of silver light swam before him, and he could not keep his eyes from rolling, trying to follow the patterns the stars made. As he guided his light blue Honda Accord along Harlem Avenue just south of Chicago, everything seemed more alive, as if to contrast the death he had just brought about. He noticed things he never noticed: the shifting red, amber, and turquoise of the reflections the stoplights made on the rain-slicked pavement. He noticed how the color spread, muted, over the slick black roadway. Even his radio, usually sounding tinny tuned to WLS, seemed more vibrant. He heard the different instruments in “Hungry Like the Wolf” as if Duran Duran were in the car with him, playing. Although it was February and his windows were rolled shut, he listened to the sounds of the other cars, the hiss of their tires on the pavement, the bass of their engines. He felt each perforation on the cover of the steering wheel. He thought he could even sense the mechanical smell of his own and the other cars as they all made their way northeast, to the Eisenhower Expressway and the city. And in his mouth, he savored a slight metallic taste. Randy Mazursky had lived in Berwyn all his life. The suburb just west of Chicago had been where his father grew up and where his grandfather had set up his home when he came over from Poland to work in the meat yards of Chicago. Randy liked Berwyn. It was familiar: The streets, gridlike, had always made it easy to get around and easy to give new people directions to his house on Oak Park Avenue. And best of all it was close to where he worked, the North Riverside Mall, where he managed an ice cream parlor called Whipped Dream. Tonight he had spent a little longer at the restaurant than usual, since one of his waitresses had come down with the flu that everyone (his wife, Maggie, included) seemed to be getting just as it looked like winter was about to come to a close. She had left midway through her shift, leaving a busy Friday night crowd of screaming kids, hassled parents, and birthday party victims. Randy had donned the blue and white striped waiter’s cap he had worn when he started at Whipped Dream three years ago and, like the trooper he thought himself, had gone out and served up Tin Roof sundaes, blown whistles, banged drums, and sung “Happy Birthday” with the rest of the crew. He knew it wouldn’t hurt the “kids” to let a pro show them how it was done. Randy had enjoyed the change. But it had been a long time since he had waited tables and he barely had the strength to hold the steering wheel properly. It was only ten minutes to his home and Maggie, but the eagerness to get there made the ride longer. He knew he didn’t have to worry. Maggie would have a great dinner waiting for him. Ever since Maggie had quit her job as a proofreader of Sears catalogs, she had become a virtuoso cook, even taking classes in Chicago. Randy had gained fifteen pounds. He and Maggie had been married for only seven months and already she was pregnant. The baby was unplanned; they had wanted to wait until they had a chance to buy a house before they had children. Right now they rented the second floor of a two-flat. But when Maggie had whispered “we’re going to have a baby” in his ear right before he fell asleep one night, he felt nothing but delight. That delight and anticipation had not worn off in the two weeks he had been aware of his imminent fatherhood. Now as he backed the car into a space in front of their yellow brick home, he felt a sudden urge to run up the stairs and hug Maggie. He knew she didn’t like him working late and wished he had thought to bring her something. Well, he could make it up to her in other ways. As he closed the door of his car he smiled: There was no trace of the exhaustion he had felt just moments before. Quickly he unlocked the two locks on the outer door and took the steps two at a time. As quietly as he could, he slid the key into the door of their apartment, hoping he could surprise Maggie in the kitchen. He opened the door and closed it behind him, trying to stifle the click of the door as it closed. Randy crept through the living room, not wondering why the apartment was so still, why their stereo, Maggie’s constant companion, wasn’t on. He noticed only the yellow block of light that was the entrance to the kitchen as he made his way toward it on tiptoe. As he stood in the archway, he began laughing. And the laughter did not stop until almost an hour later when paramedics put him under sedation. Maggie, her dark hair a bizarre contrast to the pasty white of her usually dark Italian skin, lay dead in the middle of the kitchen floor, her throat and wrists cut. Her hair fanned out on the beige linoleum and her arms were out, almost as if she had been crucified. The cat, Scruggums, sat beside her, licking his paws. Murder has come to west suburban Berwyn once again. Margaret Mazursky, 23, was discovered early last night by her husband Randolph in their second-story home at 2511 S. Oak Park Avenue. The victim’s death was attributed to massive loss of blood from stab wounds in the wrists and throat, Cook County coroner Michael Senn told officials. Little blood was found at the scene of the crime, a Berwyn police official commented. Trace elements were found in cracks in the linoleum floor of the kitchen, where Mazursky’s husband discovered her body. Otherwise, according to officials, as much as a quart of blood was removed by her attacker.